Vintage Old Postcard. Africa. Kenya. 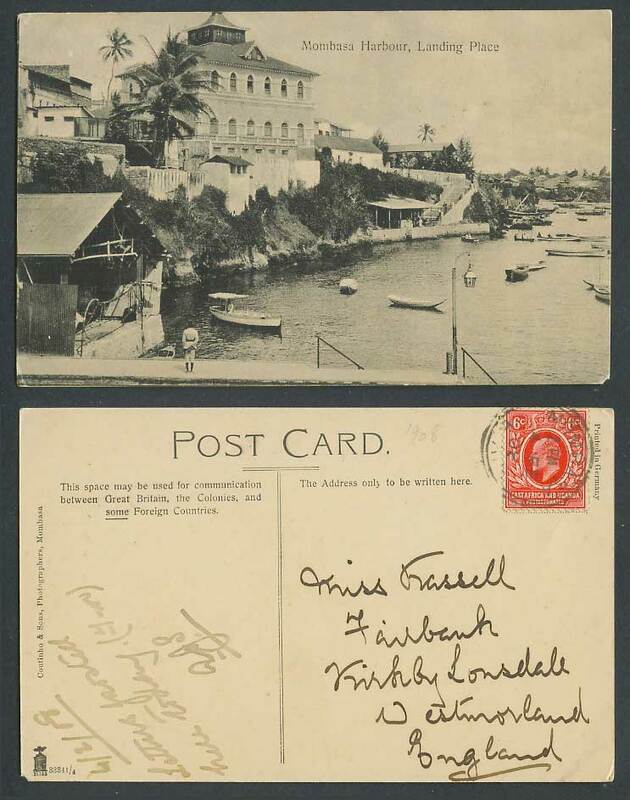 Mombasa Harbour, Landing Place, Boats. Palm Trees. Steps. Panorama. Postally Used in 1908 with East Africa and Uganda Protectorates King Edward 7th 6c stamp, tied Mombasa.